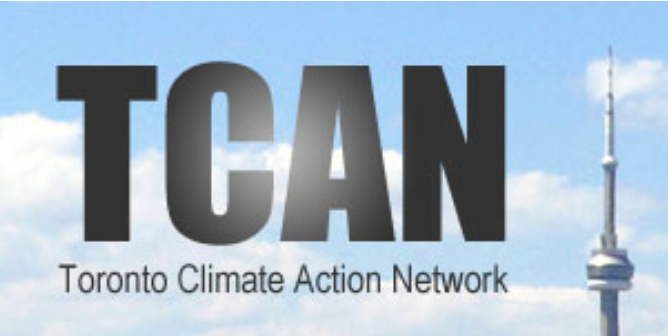 Contraction and Convergence (Canada) | Climate Action NOW! 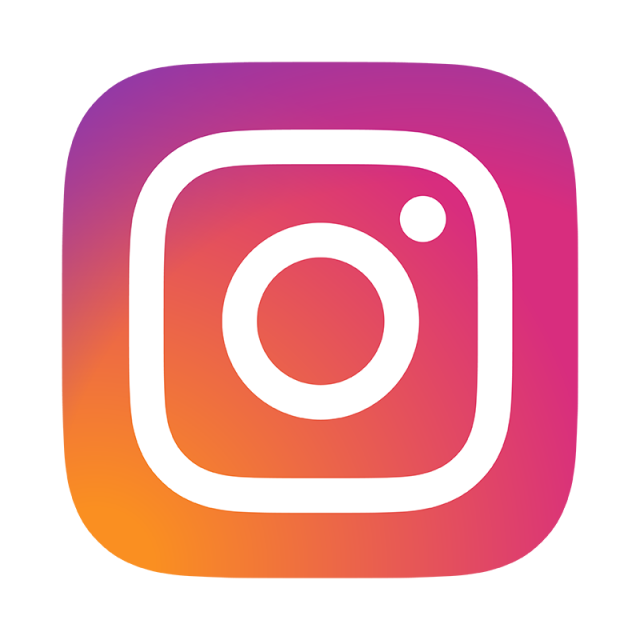 "The Blueprint results from a collaboration between two not-for-profit organisations: the Global Commons Instititute and Plan B. Although there are various other resources available, we believe the Blueprint provides a clear and distinct presentation of existing data-sets (the Country graphs in UNEP’s ‘Emission Gap Report 2016’, for example, begin only in 1990, producing a very different impression of historic responsibility)." Below is an extract from the report which indicates the emission reduction pathways that Canada should follow for Contraction and Convergence sharing. The top portion represents the pathway each Canadian (per-capita) should follow and the bottom represents the pathway that Canada as a whole should follow. 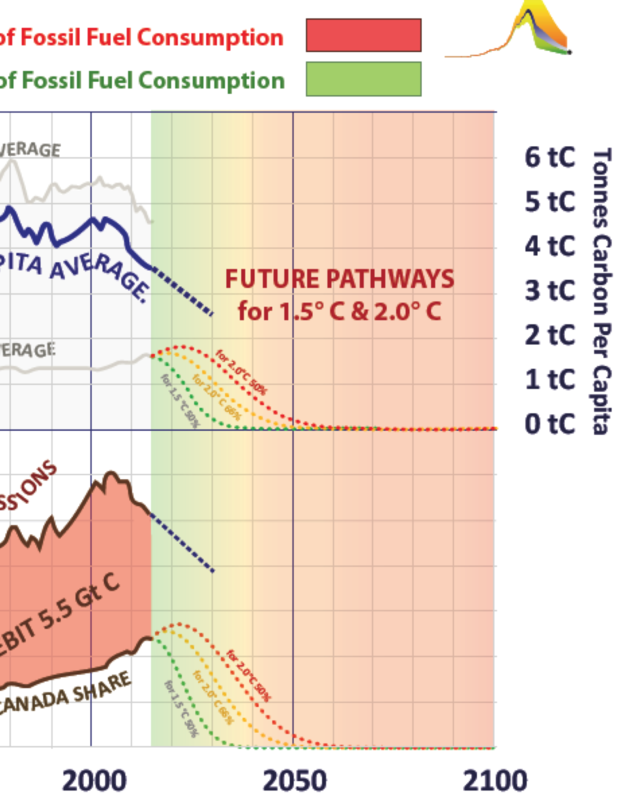 The GCI analysis shows that Canada's gross emissions should reach zero before 2040 to do our part for a 50% chance of keeping temperatures below 1.5 degrees C, before 2050 for a 66% chance for below 2 degrees C and before 2060 for a 50% chance for below 2 degrees C. The per-capita emissions follow a similar pattern. Carbon ‘Credit/Debit’ is derived by subtracting its ‘actual’ share from its ‘equal per capita share’ . 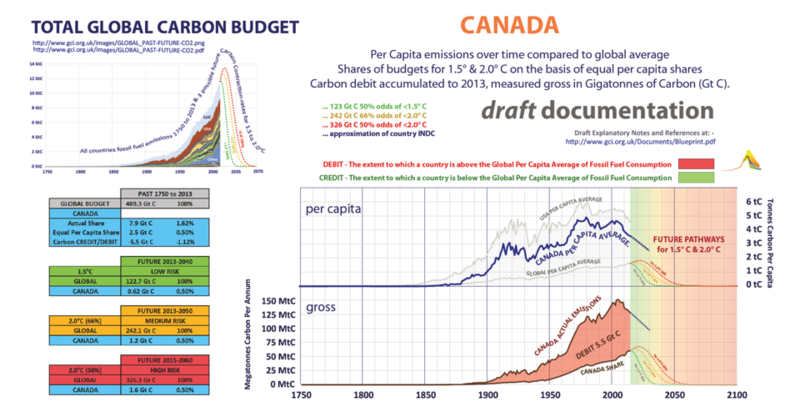 So, in Canada's case there is an overall ‘debit’ of 5.5 Gt C.
The lower boxes reflect the ‘traffic-light’ colour coding of Budgets 1-3, and correspond to the future pathways (represented by the dotted curves on the right-hand side of the charts). The top parts of these boxes express the global total remaining budget for each of the pathways. The lower part shows the country’s share on the basis of equal per capita emissions. Strictly for this ‘future’ purpose, historically accrued credits and debits are ignored. However, to calculate a country’s total share of any given budget, its equal per capita share of historic emissions needs only to be added to its per capita share for the relevant future pathway. Deducting actual emissions, gives an indication of a country’s remaining share of the total budget. To calculate Canada’s share of the Budget 2 for example (66% odds for <2.0° C), add its share of the past budget (2.5 GtC) to its share of the amber budget (1.2 GtC) to produce a figure of 3.7 GtC. Compare this with its actual historical emissions of 7.9 GtC and it becomes apparent that by 2013, Canada had already exceeded its share of Budget 2 by 4.2 GtC. A country that remains within its total share of a given budget may be considered a net creditor; one that exceeds its share, a net debtor. Legal liability seems likely to attach to debtors rather than creditors (and in proportion to the extent of the debt).